Most of you are probably aware the OAC is part of a national campaign started in 2010 with the publication of the Institute of Medicine – Future of Nursing report.  This study, funded by the Robert Wood Johnson Foundation, is considered one of the most important reports ever written about the state and future of nursing in the United States. The national campaign envisions a healthcare system where all Americans have access to high quality care with nurses contributing to the full extent of their knowledge, skills and licensure. Recently the focus of Campaign for Action has taken a shift, therefore the work of the OAC has taken a new turn relative to ongoing development of strategies to impact the health of Americans. This new initiative focuses on activities to promote a national culture of health, and the OAC is engaged in strategic planning to determine the actions we will take to address this important endeavor. Stay tuned. There will be more to come.